Google domains can be connected to your site but we are unable to access your Google account to connect (for security reasons). When your Google domain is set up correctly yourdomain.com will load your Format site with https://www.yourdomain.com showing in the address bar. If you have more than one custom domain name registered with Google, select the one you want to connect to your Format site. Scroll down until you see 'DNSSEC' panel. The nameservers need to be using Google's default nameservers. Under Synthetic records, forward the root domain to the 'www' version of your domain using a Subdomain forward. Under Custom resource records, add a CNAME alias pointing to your Format URL. A confirmation message will be displayed. Sometimes it can take as long as 24 hours for your website to be connected to your domain. 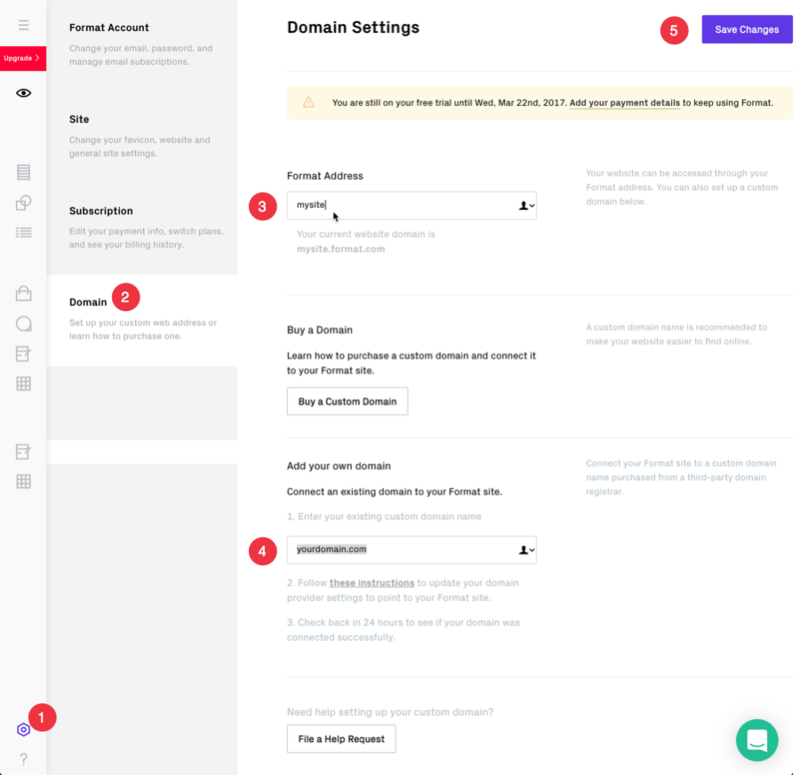 We are unable to log into Google Domains but reach us online at our live chat or via our email info@format.com and we can check and advise some options for you to try.